A majority of people living with type 2 diabetes suffer from high blood pressure and are on medication to keep it under control. Why worry about blood pressure? High blood pressure or hypertension can be a silent killer. It increases your risk for other health problems caused by diabetes and these include eye disease, kidney damage, heart disease and stroke. Controlling it lowers your risk for heart disease by half, besides delaying kidney disease, a common issue with type 2 diabetes. Aim for blood pressure below 140 / 90, especially if you are living with type 2 diabetes or/and have related problems. 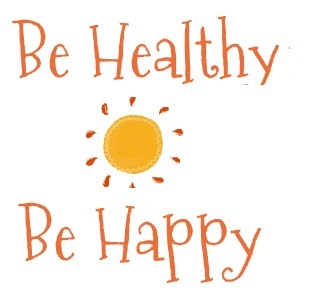 A healthy lifestyle is your first step to prevent and control high blood pressure. Most times, lifestyle changes can help you do this, but if that is not enough, you might need prescription blood pressure medication. Doctors usually diagnose high blood pressure based on several readings at different times. If the reading is consistently 140/90 mmHg or more, medication may be prescribed to keep it under control. Besides the fact that high blood pressure increases your risk for heart disease and kidney disease, and the likelihood of a stroke, the problem with hypertension or high blood pressure is, it can exist without symptoms. No one is immune to it. The scary part is, once it is develops, it stays for life. The good news is you can take action to control, if not prevent it. Heart healthy living is the answer. Research shows that following a healthy eating plan reduces the risk of developing high blood pressure and also lowers high blood pressure. Switch to a low salt diet. Eat foods high in potassium. A dietician I interacted with said that salt is an acquired taste and we can do without it, apparently. The recommended salt per day is about one teaspoon, which includes what we use in cooking as well as at the table. Reducing salt and sodium in your diet keep your blood pressure from rising and also help your medication work better. The importance of being physically active cannot be overemphasized and it is one of the most important steps you can take to prevent or control high blood pressure and reduce your risk of heart disease, even as you keep your blood sugar under control. Too much alcohol can raise blood pressure. It can also harm the liver, brain, and heart. Alcoholic drinks are also calorie-rich, and this can add on those pounds which is a no-no for cholesterol levels and blood sugar. High blood pressure and obesity often go with diabetes. Being overweight increases your risk of developing high blood pressure, besides inviting other health problems like heart disease, high blood cholesterol and diabetes, which in turn are big risk factors for heart disease. For those who are overweight and have high blood pressure, losing even 10 pounds can make a huge difference. Physical activity strengthens your heart, lowers your blood pressure, burns calories, and improves your blood sugar and cholesterol levels. That smoking kills is a no-brainer. It damages the walls of the blood vessel walls and speeds up the process of hardening of the arteries. No, filtered cigarettes are no better. If you smoke, quit. If you don’t smoke, great!. Once you quit, your reduce your risk of having a heart attack. If you keep your blood pressure, cholesterol, and A1c levels in check, you are on the right track. Controlling your blood pressure also helps slow down or prevent eye disease caused by diabetes. Make sure your doctor checks your blood pressure at every visit. Like me, if you are on Diabetes medication, and have your sugar levels in control, don’t even think of tampering with your medication schedule. It is tempting to think you can do without it. But – if by a cruel kick of Fate, complications, arise, you cannot turn back the clock. Tomorrow, I’ll talk about Cholesterol and Living with Type 2 Diabetes. Speaking of blood pressure I wonder if there is any age limit to get BP or anyone can get? Sorry, I’m lil ignorant! Yes, it can happen to anyone, at any age. Sigh. It does not differentiate. Shiva, salt is salt. There are salt substitutes that contain potassium chloride and that’s not a healthy option, either. 🙂 I plan to write a post with alternates for salt. Please stay tuned! It took me a while to start taking high blood pressure seriously. Because of the lack of symptoms sometimes, it just seemed like an intangible.. something that people said they may have but didn’t make sense to me. Then Mma had a stroke and I started caring for her, and I could see that days when her blood pressure was high affected every other aspect of her health. I can emphasise enough how important it is to keep it low, even when you don’t have the illness. It’s something that we can all do to take care of ourselves and forestalls a whole heap of other medical conditions. I always thought 140/90 is high. On both counts. So, if you are otherwise normal, is that an okay reading? mercifully we’re safe from high BP. It’s the other end that’s cause for worry in our family. Thanks Vidya, for this informative post ! As I read this, I’m so proud of Jose for making sure he did all those and so has his blood sugar under control without meds. So important to see the connection between diabetes and overall health. One of my many hats was educating diabetics (as a nursing.) Sadly medical education has waned and everyone is handed pills and syringes ughh. 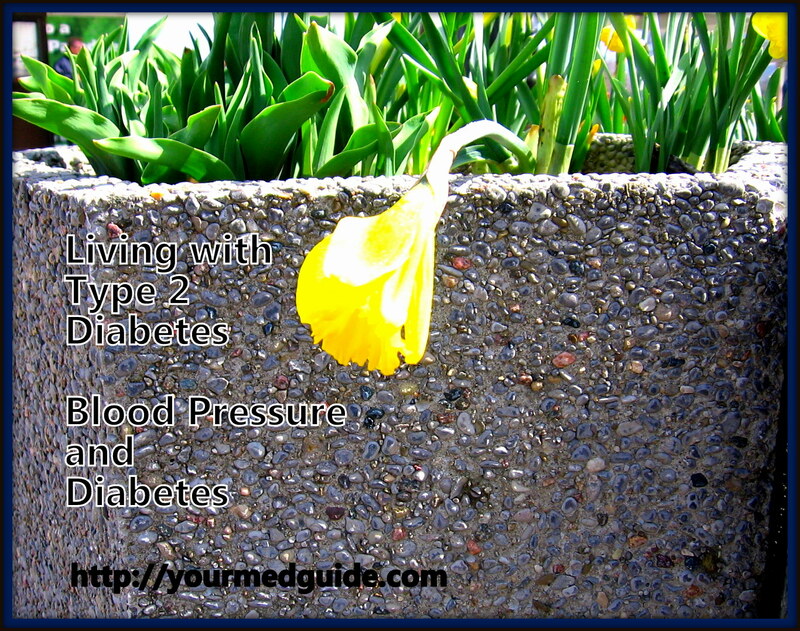 Type 2 Diabetes is so treatable without medicine. Thank you for doing this education site many can benefit. Thank you! I am hoping I can minimize my meds too! Doctors are only too eager to prescribe, and worse still, people prefer to indulge in the diet of their choice…and take a pill rather than overcome the condition with diet and exercise. Sigh. This is right up my alley as I am a health coach and see these problems on a daily basis. I can teach people what to do but it is their CHOICE if they choose to do it, right? A much needed post and I hope you do more like this. I have one question hope you can answer it. Diabetes took place due to sugar, and high blood pressure take place due to higher salt intake, tension etc. But how come diabetes patient can suffer from high blood pressure? Salt is not the only cause of high blood pressure. There are other factors like being overweight, lack of enough exercise, stress, genetics, conditions like thyroid / kidney disease and so on. Diabetes happens because of imbalanced blood sugar, but it also shares the same factors that affect blood pressure. It is all a vicious cycle where, when one thing goes out of balance, the rest of it must react. If the heart has to work harder to pump blood, there is a strain. Then there is the problem of unhealthy cholesterol levels from an unbalanced diet, which eventually narrows the arteries, increasing blood pressure and the risk of a heart attack. Blood pressure is a complication of diabetes and at the same time, can be caused by diabetes. Ultimately it is all about lifestyle, diet and exercise.